Bollywood's legendary actor Shashi Kapoor passed away at the age of 79 after suffering from a prolonged sickness on December 4. He was a great actor of the era of 60’s and 70’s. He was admitted to Kokilaben Hospital. 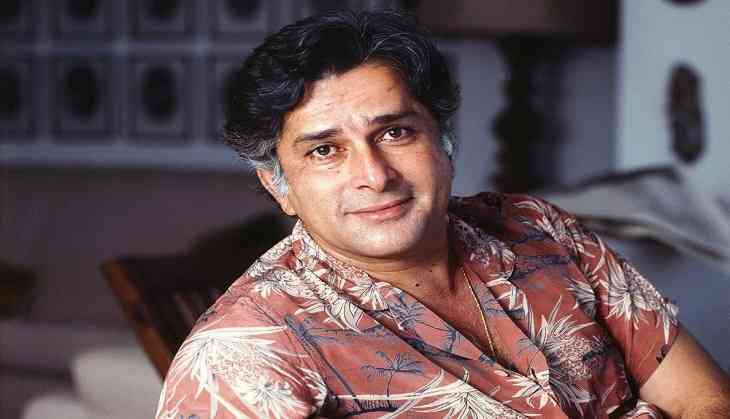 Shashi Kapoor was a member of the famous Kapoor family of the industry and was the third and the youngest son of Prithviraj Kapoor, the younger brother of Raj Kapoor and Shammi Kapoor, the widower of Jennifer Kendal (sister of actress Felicity Kendal), and the father of Karan Kapoor, Kunal Kapoor and Sanjana Kapoor. In the year 2011, he was awarded with the Padma Bhushan by the Government of India for contributing to the art-cinema. In the year 2015, he was awarded the 2014 Dadasaheb Phalke Award and became the third person in his family to receive the great award after Prithviraj Kapoor and Raj Kapoor. Shashi Kapoor had acted in quite a number of Hindi as well as English films and was also a movie director and assistant director in the Bollywood industry.